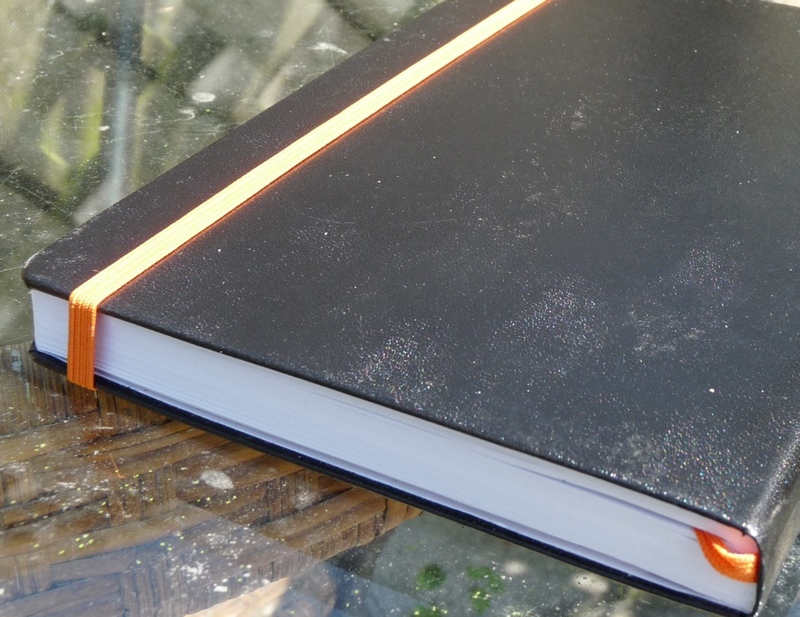 Leuchtturm1917 Whitelines Notebook Review – Pens! Paper! Pencils! 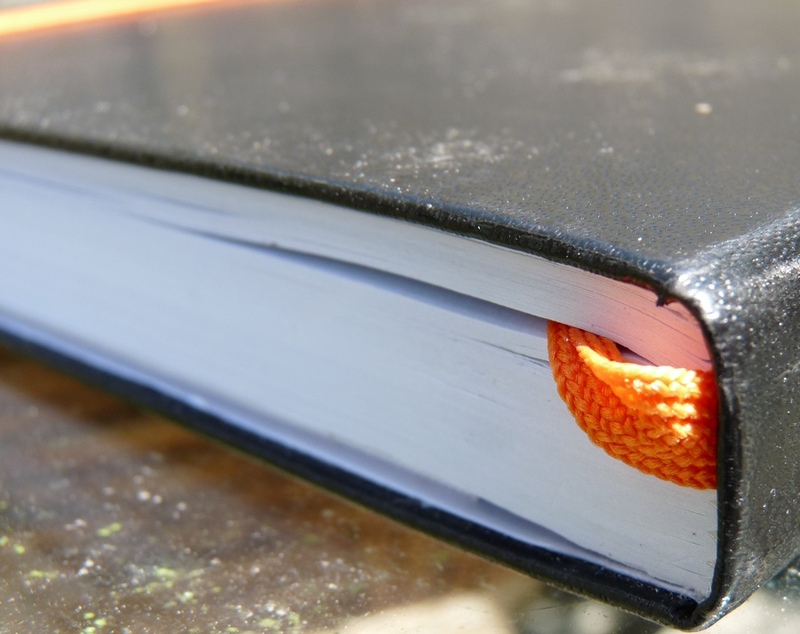 The Leuchtturm1917 Whitelines notebook is a hardbacked A5 sized notebook with 250 pages. It costs about £11 in the UK and about $20 in the USA. I was sent this notebook by a new UK based company called StudioAlt. 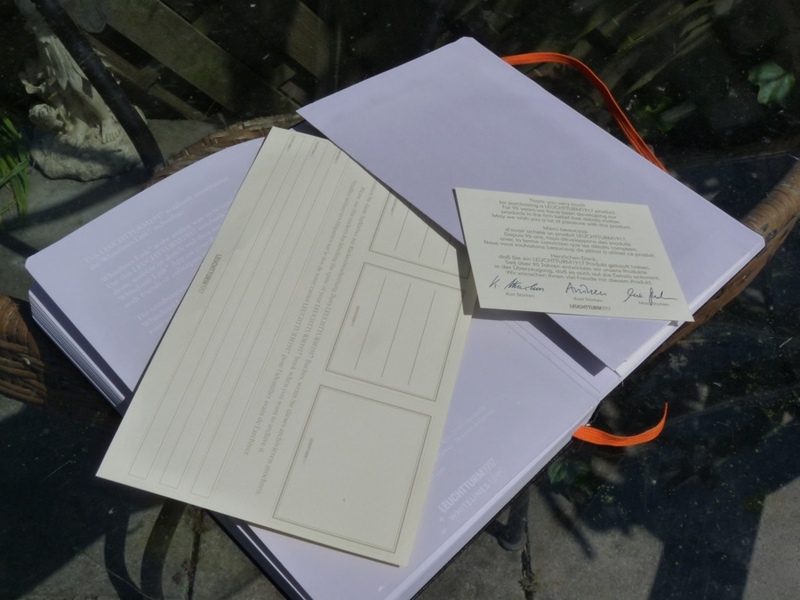 StudioAlt aim to bring analogue tools to the digital world and the Whitelines notebook couldn’t be more in that ballpark. 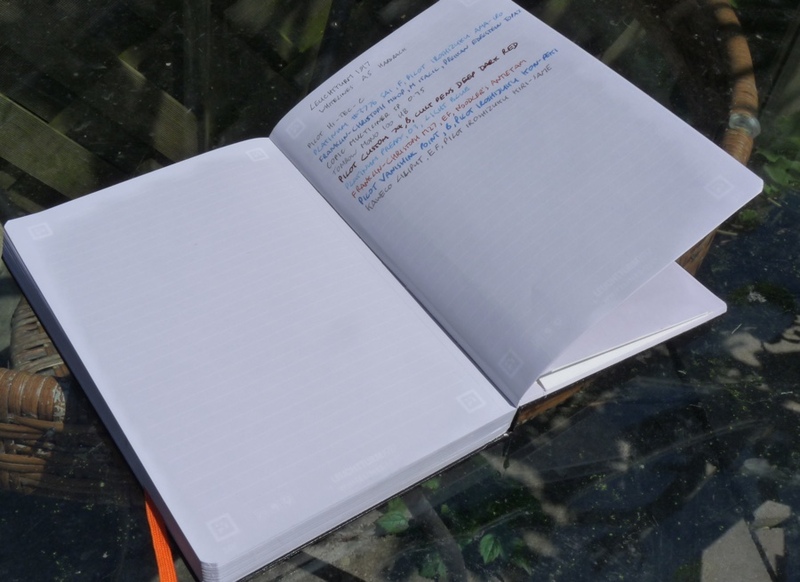 It’s more or less a normal notebook but it comes with special markings on each page and an app, specially designed to bridge this analogue-digital divide. The app uses the squares marked in each corner to orientate itself and quickly scan each page. It works very well. The idea of the grey page and white lines is that both disappear upon scanning leaving only your writing and drawing. There are squares you can tick at the bottom of a page to automatically send your scan to Dropbox, Evernote or email (or you can do this from the app manually). This is a great system. There are other apps that will scan anything for you no matter what notebook you use but because they’re a little more general purpose they’re not quite as quick. The app, “Whitelines Link” is available for iOS and Android but only works with this notebook. Leuchtturm notebooks always have contents pages and page numbers. They have the usual cardboard back pocket, elastic band and bookmark ribbon. There are labels you can stick onto the cover to aid with archiving. If you like orange, and how could you not, the colour scheme will appeal. The notebook looks great. It’s well made, too, and unlikely to fall apart in a hurry. The paper is friendly to some fountain pens and inks. I found a combination that worked for me (a broad nibbed Pilot Vanishing Point with Pilot Iroshizuku Kon-Peki) but found it frustrating to be restricted in what I used. Even some fine nibbed pens bled and feathered with many inks. Grey paper isn’t the best choice for showing off ink colours, either. It’s possible to use this notebook with fountain pens as long as you’re careful. It’s better suited to other kinds of pen. I’ve been using this notebook at work for a few weeks now. It does its job well and I’ll keep using it until the end. I probably won’t get another one though, simply because I don’t need to scan that many pages in and I want to be able to use a wider variety of pens and inks. If you are a heavy fountain pen user you may want to think twice about this notebook but if you regularly use any other kind of pen you should be okay. Even if you do use fountain pens as much as I do, you may find the utility and efficiency of the app and notebook combination to be worthwhile. If you regularly find yourself needing to scan your notes, this is a great system. Thank you to StudioAlt for sending me this notebook. They are new but have interesting plans for the future. The views expressed in this review are my own and have not been influenced by StudioAlt in any way. I’ve got one of these still in the shrink wrap: the slim A4 121 page version. I’m sorry to hear it’s not fountain pen-friendly, because it is 100 gsm paper! My version has 80gsm paper but that ought to be good enough. I do use a fountain pen in mine every day but I’ve had to pick carefully. It is a broad nibbed one though: a Pilot Vanishing Point with Kon-Peki ink. Aha. I’ll let you know what works when I try mine. 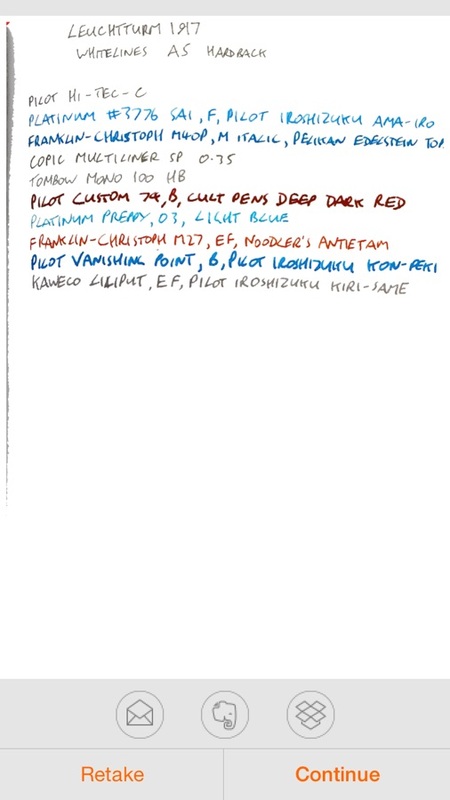 I’ve had decent luck with Leuchtturm and FPs — it’s not brilliant, but then again they’re very fairly priced. I like them a lot for an everyday notebook. I usually use a 1.1 italics or stubs and I haven’t had major issues.